The flavor-packed ranch dressing and cream of chicken soup adds amazing flavor to this Crockpot Ranch Pork Chops Recipe! 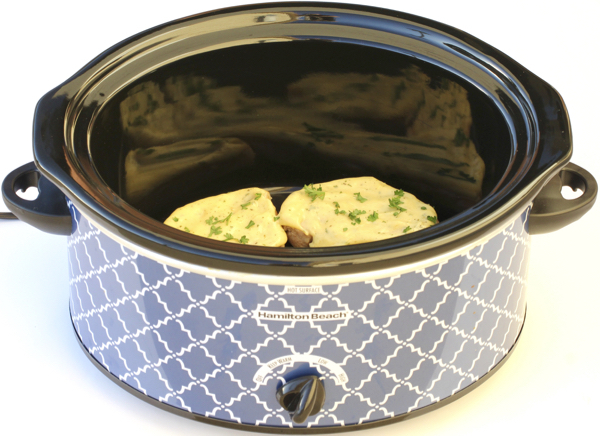 Place Pork Chops in Crock Pot, and cook on LOW for 3.5 hours, covered. After 3.5 hours on LOW, drain juices from Crock Pot. Mix together Cream of Chicken Soup and Ranch packet in medium bowl. Pour mixture over Pork Chops, and cook on LOW for ½ hour, or until done. Enjoy!